I got tired of racing through contemp YA books in half a day. Seriously, picking new books was taking like an hour a day. So I decided to see if there was maybe a book that I could grapple with for a solid week or two. 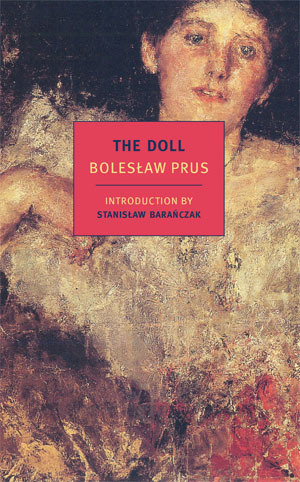 And the book I picked is Boleslaw Prus’ The Doll. It’s basically War and Peace, but Polish. Also I don’t know if there’s any war or peace in it. What I’m saying is that it’s a long realist novel, and I tend to really like those. Already this year I went through a spate of realist novels, including some Balzac and a lot of George Gissing. Anyway, so far I don’t know. I am enjoying it on a page by page level, but I’ve yet to see a plot. So far it’s sort of the day to day life and the musings of a clerk. Stick it out! And let us know how it goes….